Can cats be service animals or only dogs? 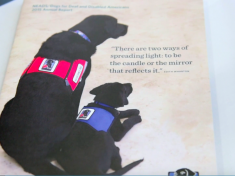 What’s the difference between a service dog and a therapy dog? How can you tell a real legitimate service dog from just a regular dog? Welcome to Service Dogs: Fact and Fiction. 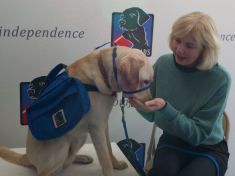 It typically takes 18 to 24 months to fully trained a good service dog. 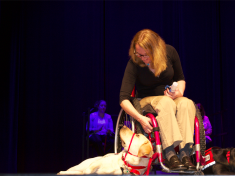 Service dog training is a hard task that needs a lot of time and patience. 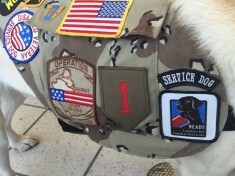 Nowadays, service dogs are everywhere.They are in train stations, hospitals, and restaurants. But wait, are they real service dogs? Several states passed or consider to pass a law to make it a misdemeanor to misrepresent a pet as a service animal. While someone concern about privacy violation. Yining Chen, a experienced journalist who worked 5 years in China, became a fresh students in the U.S.. 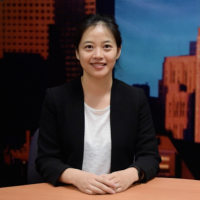 In Emerson College, Yining learned Multimedia skills, and found her passion on new media industry.